The American Society of Civil Engineers (ASCE) selected GeoEngineers’ Meridian Interchange Project as their 2015 Region 8 Project of the Year. The award recognizes project excellence, and is only given to one project (with a budget greater than $10 million) in each ASCE region. Region 8 covers most of the western United States, including Hawaii, Alaska, Washington, Oregon, Nevada, Montana, Idaho, Utah and Arizona. 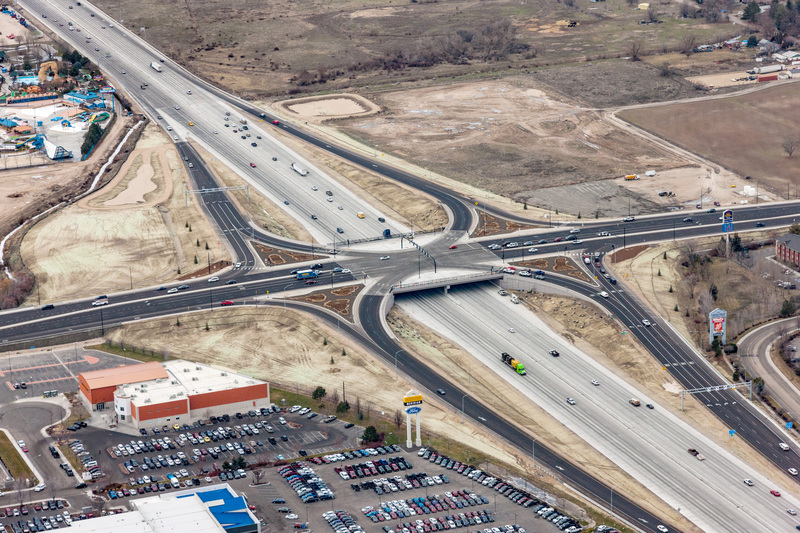 In 2012, the Idaho Transportation Department (ITD) contracted with Parametrix, supported by an experienced team, including GeoEngineers, HNTB, and T-O Engineers to design the I-84 Meridian Interchange project. Concrete Placing Company (CPC) completed the construction in 2015, following the design phase. GeoEngineers’ role on the team consisted of performing geotechnical investigations, preparing ITD Materials Phase Reports to support earthwork, foundation, retaining wall, seismic and pavement design. The new I-84 Meridian Interchange consists of a two-span, concrete girder bridge using a single point urban interchange (SPUI) design with a single traffic light on the overpass controlling all traffic on Meridian Road passing over I-84. The updated interchange features three through lanes in each direction, two turning lanes each direction, additional east- and west-bound lanes on I-84 under the overpass, two left-turn lanes on each exit ramp, new storm-drain systems, sidewalks and bicycle lanes. The new interchange is designed to handle 284,000 vehicles per day to accommodate for future growth in Meridian, Idaho.